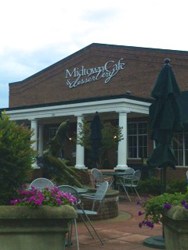 There are many wonderful restaurants in Winston-Salem, though not so many serve brunch! Here is a list of favorites, some of which offer Saturday and Sunday brunch, and some of which serve extras like Bloody Marys and mimosas! (a.k.a. Breakfast of Course, B.O.C, and Mary’s of Course): Hours: 8AM-3PM. A favorite farm-to-table restaurant in the Arts District of Downtown Winston-Salem, this quirky, artsy diner has personality galore and a menu chock-full of local organic goodness. Breakfast items are served all day and eggs benedict are one of its specialties, as well as biscuits and vegetarian or pork sausage gravy, griddle cornmeal cakes, tofu or tempeh scramble and cinnamon swirl French toast. 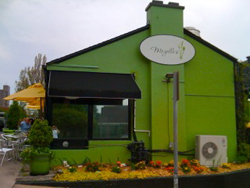 Mary’s Gourmet Diner is vegetarian friendly and sometimes offers gluten-free bread as well. Great patio seating available. (no alcohol served). Many breakfast items are served all day, everyday. View their brunch menu. Saturday and Sunday brunch 11AM-3PM. This downtown eatery is a local favorite offering such delights as Mozelle’s Benedict with candied bacon, collards and chorizo gravy on a brioche bun with cheese grits or a grilled pimento cheese and bacon sandwich on sourdough with a cup of tomato bisque. Lovely sidewalk dining. Mimosas served sometimes. Reservations encouraged. View their brunch menu. Saturday “Hangover Brunch” at 11AM; Sunday brunch 10AM-3PM. 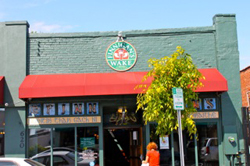 In the heart of the Arts District in Downtown Winston-Salem, Finnegan’s Wake offers Saturday and Sunday brunch (though their Saturday brunch menu is not as extensive as their Sunday brunch menu). They serve authentic traditional Irish favorites, including “boxty” (a thin potato pancake folded over your favorite sweet or savory ingredients), imported Irish bangers (sausage), Scotch eggs, Irish oatmeal, and the Full Monty omelet with bangers, rashers, corned beef and cheddar cheese served with hashed potatoes and a toastie. Bloody Mary’s and mimosas available from their full bar. Brunch menu. 11AM-3PM. 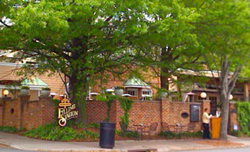 A farm-to-table restaurant between downtown and Old Salem, Willow’s Bistro offers traditional favorites and unique items, from fried chicken and waffles, steak benedict and Bananas Foster French toast, to goat cheese grits and spicy sesame soba noodles. $3 Bloody Marys, mimosas and screwdrivers! Vegetarian friendly. Brunch menu. Address 300 S. Liberty St., Winston-Salem, NC 27101 (336) 293-4601. Sunday brunch: 10AM-3PM. Enjoy brunch by the fireplace or on their beautiful patio with a variety of choices from Southern favorites such as biscuits & gravy; Carolina crab cake sandwich; and shrimp & grits, to Lobster Rockefeller Benedict, and caramel apple French toast. View their brunch menu. In the heart of the Arts District of Downtown Winston-Salem, this favorite night spot also offers Saturday and Sunday brunch for the morning after, serving up the likes of shrimp & grits; crab cake benedict; portabello, prosciutto and goat cheese omelet. Limited outdoor seating. Vegetarian and gluten free friendly. View their brunch menu. Saturday brunch 11AM-3PM; Sunday brunch 9AM-3PM. 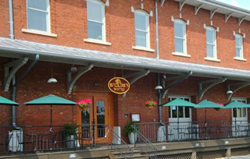 A sister restaurant of Midtown Café and Dessertery, River Birch Lodge restaurant offers Saturday and Sunday brunch with an atmosphere of “mountain casual dining” and a lovely patio. 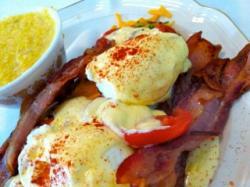 Menu includes items such as Eggs Benedict, Belgian waffles and veggie frittata. Bloody Mary’s and mimosas available through their full bar. Gluten free dishes and sliced bread (though no buns) available. Brunch menu. Sunday-Thursday 7AM-8:30PM; Friday & Saturday 7AM-9:30PM. Another “breakfast all day” restaurant, this family-friendly brunch spot near Thruway Shopping Center often has a wait. Midtown Café serves up classics: banana crunch pancakes, sweet potato pancakes, Belgian waffles, crepes and French toast along with great sandwiches and soups. Vast outdoor seating available in warmer months. (Sorry, no Bloody Marys or mimosas.) View their brunch menu. Saturday brunch at 11AM and Sunday brunch 10AM-2PM. Five Points serves up brunch staples like waffles and French toast alongside not-so-common prime rib, crab cakes, cajun quiche and duck fat potatoes. Vegetarian and gluten free friendly. Mimosas and Bloody Mary’s. View the full menu. 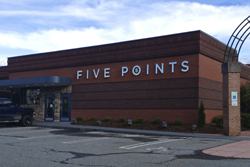 Checkout our article on Five Points Restaurant here! This hot spot in the heart of downtown offers a full coffee bar, fresh-baked morning glory muffins, almond brioche, cinnamon buns and quiche, as well as $5 mimosas on Sundays! Sidewalk seating available. View their menu. 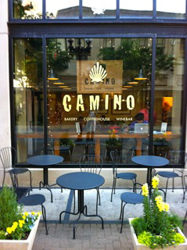 New location coming soon at Camino Brookstown! This bakery and cafe is on Trade Street in the center of the Arts District downtown. Owned by Pablo, a Cordon Bleu- trained chef, they serve up out-of-this-world sweet and savory pastries and desserts and coffees! Some sidewalk seating. View their menu. 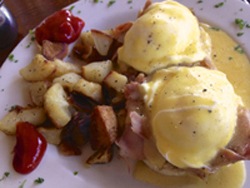 What’s your favorite Winston-Salem restaurant to enjoy brunch?